Following a week of snow and sub-zero temperatures, it was pleasantly mild on the second day of races. 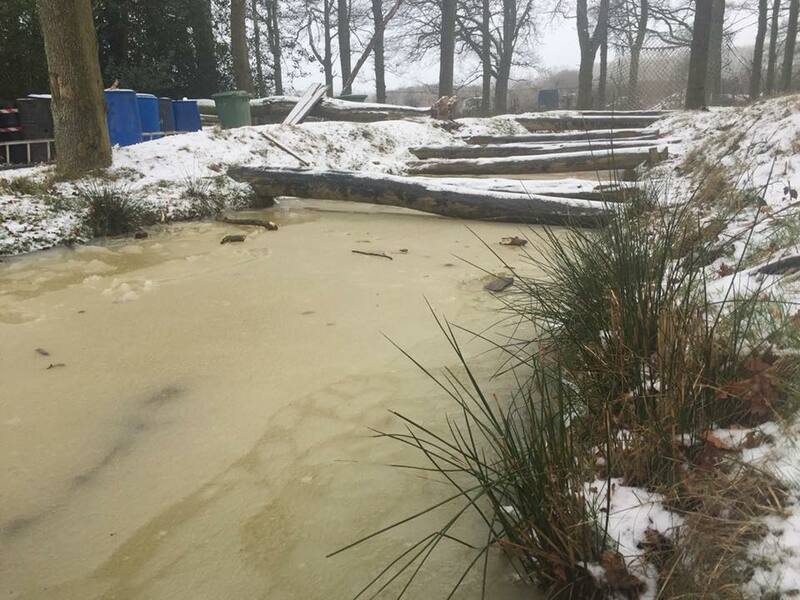 It was so cold on Saturday that the race organizers had decided to remove the flagship obstacle ‘Kamikaze’, as well as the lake from the course. Sunday racers had no such luck, and Kamikaze was back in! Three and four lappers had their race numbers and chips sent through in the post, meaning no need to register, so I just picked up my Winter Challenge tech shirt and set up at the transition area. The atmosphere was awesome – athletes bustled around the transition tables, music played, and the MC was getting everyone ready to go. We lined up at the start with time for a race brief and kicked off bang on 8 am. The course was fantastic; well signposted, and cheerful marshals greeted us at every turn and obstacle. I am always incredibly grateful for those who spend their weekend stood in the cold to cheer and support the racers, but the Nuts marshals were really exceptional. Lap after lap they met us with enthusiasm, humor, and words of encouragement, and in my case strawberries and bananas! A lot of times they were already calling my name before I even got there, and I looked forward to seeing them the next time around. For me, they were what really made the race stand out, and at times they were what kept me running, especially when the cramps started kicking in after five hours! As someone who isn’t big on technical obstacles, the Nuts course was right up my street. It was a collection of all the classics: icy ditches, tire carries, crawls, cargo nets, rings, and walls, with a few novel additions like a climb inside a vertical stack of tires! The ‘Stairway to Heaven’ obstacle felt a little out of place, and perhaps even unnecessary, for an endurance OCR. 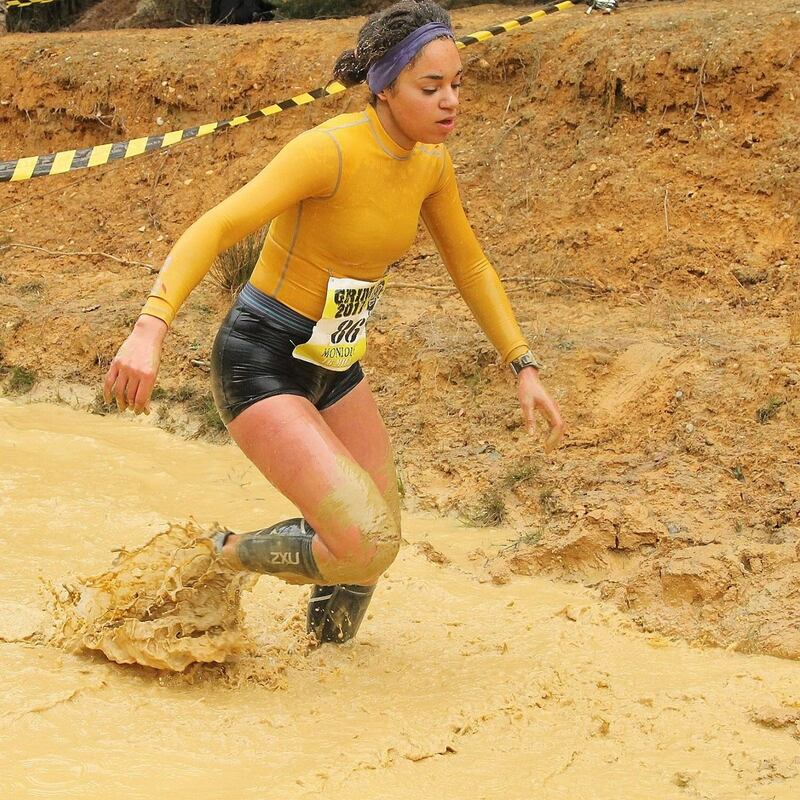 Having said that, the race is a qualifier for the OCR World Championships, so it’s only fair for those aiming to keep their bands at Nuclear Races this year. It was taken out after the first two laps, I presume because it was becoming really slippery, so (to my great relief) we were all directed to the penalty loop instead. 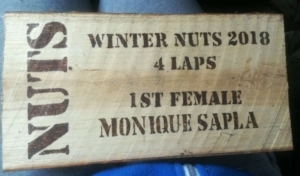 Having a transition in a race was a new experience for me, but it felt really well coordinated at Nuts. The MC was tirelessly cheering us on and calling out our names as we came in and went, at the same time as hyping up the next waves of athletes. 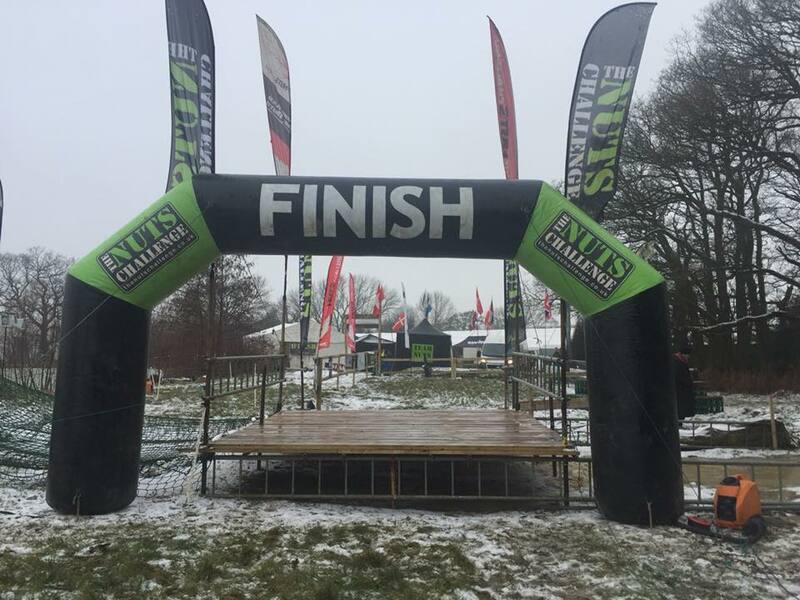 There may not have been many spectators, but if you didn’t think about the fact that it was winter in Dorking, you could easily have been at an event village at a summer race! My dedicated teammates were always ready with my chosen snacks, and in a couple of minutes, I was ready for the next round! Coming in after the fourth lap was genuinely emotional – supporters and marshals cheered as we completed the final stretch, and the MC fist bumped me as I crossed the finish. For over six hours I was smiling more than I wasn’t, and part of me was sad it was over! This was definitely a 5/5 event for me that I wouldn’t hesitate to recommend to anyone – beginners as well as seasoned racers! I can’t wait to come back in September and do it all over again. 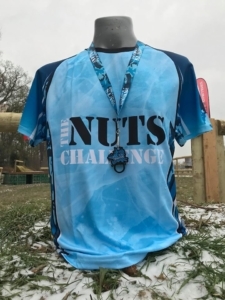 Have you done an The Nuts Challenge?